Want something different? 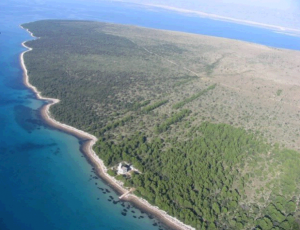 Rent your own island in Croatia! Many have dreamt about spending some time on their own private island. Few have actually experienced it, even though renting one might be easier than you think. One of the biggest misconceptions of private islands is that people think this is something exclusively for the rich and the famous. Island rental is strangely enough unexplored ground for many tourists, even though it might fit perfectly in their budget and time schedule. To rent a private island you don’t have to look far. 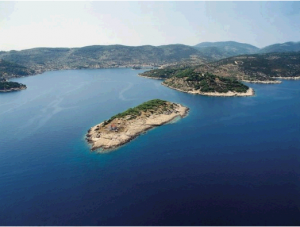 Hundreds of private islands are for rent in European countries; especially Croatia has a lot of them. All these islands have a lighthouse on it. 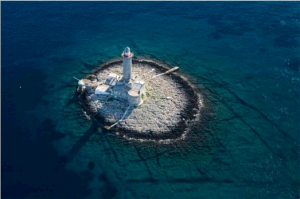 Due to the automation of light-mechanisms on numerous Croatian lighthouses, there are less and fewer lighthouse keepers which opened the possibility to renovate apartments for tourists where once a lighthouse keeper and his family lived. Most people are very surprised at the low prices that have to be paid for these unique holiday destinations. Renting your own Croatian island for one night starts at €12 a person; at some islands, you are absolutely on your own, other islands have a lighthouse keeper that guides you to other nearby islands and cooks local dishes in the evenings. The host is a good example of an affordable island. For less than €140 a night, the island is yours. With room for 4 persons, this makes it cheaper than many hotels and hostels. A totally different island experience, you find on “Littleisland Lighthouse”. On this unique island in the north of Norway, you can experience the Northern light and watch whales pass by. Porer is one of these urban islands, located 2.5 kilometres from the mainland. In less than a minute you are around the island since it is only 80m wide. The 25-meter high lighthouse is built central, surrounded by two guesthouses. 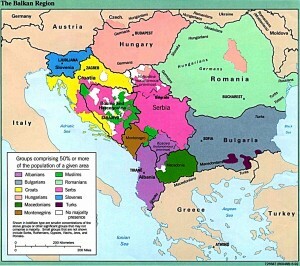 Porer is best known for its beautiful sunsets, which are considered the most beautiful of the Adriatic Sea. The waters around Porer contains many underwater cliffs with many different species of fish, making it a popular place for divers and fishermen. Numerous boats during the construction of the lighthouse sank due to storms. These artefacts are still under water to admire! A frequently asked question is how to reach these islands. When renting an island some come with their own boat which you will be able to use during your stay. Other islands have a local shipper that transports you to the island in the beginning of your stay and picks you up at the end. The lighthouse was built in 1849 on the southwestern cape of the island of Dugi Otok which is 35km west of the city of Zadar. 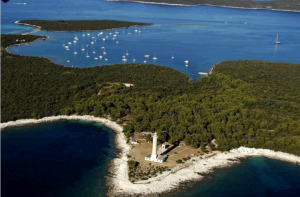 The lighthouse, surrounded by pine trees, beautiful bays and pebble beaches, is considered one of the most beautiful on the Adriatic. Veli Rat offers an unforgettable experience – splendid views from the 40m high lighthouse tower. According to the legend, the lighthouse walls contain thousands of egg whites to make them more resistant to wind and sea, which protect you from the blazing sun in the summer months. There is an old church under a century-old pine tree in the large paved yard. Villa Lanterna is a more expensive stay, but you get daily served breakfast, a sauna, a whirlpool and a speedboat trip included in the booking price!